As the popularity of mobile dependence on applications grows day by day, more and more businesses are realizing the fact that its not just the web they need to have a presence on. They require their own specific applications catering to their customers’ requirements. The challenge however is that building an app isn’t everybody’s cup of tea. The costs involved are more often than not such that can only be afforded by significantly large businesses which leaves the small businesses and start­ups on the bench. 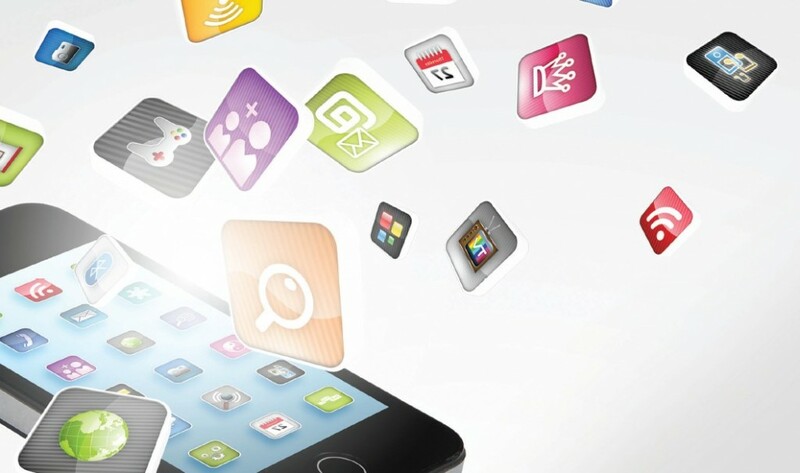 The silver lining to the cloud of expensive app building is that there are now several app making tools out in the market that can be used for building DIY apps. The benefit of resorting to these app building tools is that anybody can create apps of their own without having to learn how to code and other technicalities. This means that small business owners and those who cannot afford hiring a developer to create an app for them can now build apps of their own easily. Primarily used for building native IOS and Android apps, App Makr is a free DIY app building platform that eliminates the need of coding in building apps. Any number of apps with unlimited updates can be built absolutely free. In addition to navigation control, monetization and tab viewing, push notifications, HTML5 functionality, live updates, branding, design customizations and high resolution photo galleries are some of the features. If you’re building an app for the iphone, App Makr enables users to preview the app by publishing a test app that helps in assessing its look and feel before it can be launched in the app store. The app’s App Quality Index (AQI) which is a set of parameters that informs whether the built app would be rejected by Apple during the app review, is at all times displayed. All apps created using the AppMakr are published under the developer’s account and brand, not under AppMakr’s name. AppMakr is a free platform with advertisements. Ad-less service is available too but for a cost of $1 a month which is inclusive of a native android app. A $9 per month plan allows creation of iphone, Android & HTML5 apps along with the ability of submitting the built apps to Apple’s App store and Google’s Play store. Any number of apps with unlimited updates can be built absolutely free. Can preview the app by publishing a test app that helps in assessing its look and feel before it can be launched in the app store. Awesome features and highly customizable. Based on the required needs we can have our app look exactly the way we want and can upload icons, headers, artwork, etc. We can’t view pages as they are published, instead you can preview by sending the app to yourself on your phone or by email. Apple Publishing can be a little trickier and it takes more effort to build. This tool is suitable for building apps for businesses spanning across industries. This tool has been designed bearing small businesses in mind. The tool enables users to build Android, iphone, ipad and mobile Webapps in addition to customizing them which is made possible by hundreds of customizable design templates that Bizness Apps offers. Its features include push notifications, GPS, content sharing, social media, custom Email forms, food ordering, mobile reservations etc. It also enables users to preview their built apps before they are published. Inter-app integration with other business apps is made possible which can be better understood with the example of importing contacts from the app to email marketing services such as MyEmma, MailChimp etc. In addition to the availability of a White Label Plan, the tool comes at a price of $24 a month for mobile websites and $49 a month for a native and mobile app. Makes mobile apps affordable and simple for small businesses. Offers a user-friendly CMS that lets companies design and customize iPhone, iPad, Android and mobile Web apps. Should pay a flat rate for unlimited Android apps and mobile websites. Limited options for E-commerce websites and it requires a proper app in place to handle all day to day activities. Brand customization only available in custom pricing with White Label Reseller plan. The Canvas Business App is a drag and drop app builder that aims at streamlining and organizing data collection and converting forms into mobile-ready digital formats. Functions such as workflow automation, confirmation or authorization via signature capturing, product tracking (via GPS) and purchase order calculations can be performed by apps built using the Canvas. In addition to accepting mobile payments, tracking inventory via barcode scanning and maintaining databases, Canvas offers something quite secure Cloud storage for its users. This feature is very enticing for users as it can be very useful in sharing of files and documents between the app users.This tool can be used for building iOS, Android and Windows Apps. Canvas Business Apps & Forms works on iOS, Android and Windows devices. Makes apps easy, fast and affordable to create a mobile business application. Integrates with cloud apps to replace paper forms everywhere. A 30-day free trial is available at the expiration of which, service can be continued for $13 a month per user. Great with a few bugs – Resizing crashes the app sometimes. A drag and drop platform which happens to be the fastest growing DIY app building tool feasible for building apps across all major platforms such as Android, Windows, iOS & Blackberry. Appy Pie enables automatic publishing of apps on their respective app stores including Appy Pie’s own marketplace. Appy Pie’s functions include Social media and Blog integration, Push notifications, sharing capabilities, photo galleries, restaurant tools such as passbook coupons, Menu builder, OpenTable, GrubHub, GPS tracking for strategic location based marketing and One touch calling, QR code etc. In addition to the aforementioned features, some features that make Appy Pie stand out from the rest of the tools are app analytics, real time updates and revisions, app monetization and custom coding. HTML5 apps can be designed using this tool for free.Appy Pie offers subscription plans for publishing an app starting at $7 a month for a single app. Every plan includes a free mobile website and all paid plans are inclusive of customer support. The interface provided by Appy Pie is user friendly and is easy to use. Has its own market place which gives more visibility to your app. Few bugs in the interface, as it has not yet released its stable version. Does not provide support for users to publish their apps on app store such as Google Play Store or Apple App Store. Used by renowned stalwarts like the NBA, NFL, NBCUniversal, TED, Verizon etc. Mobile Roadie is the most popular do-it-yourself app building tool available to businesses. Mobile Roadie can be used for building apps laden with features such as geotargeted push notifications, location maps for filter engagement, mobile marketing tools, in-app activity rewards and points, chat options, news updates and a fan wall with threaded posts. In addition to these, features that facilitate photo gallery uploads via Flickr, Instagram, Twitpic, Facebook and video integration from You- Tube, Vimeo, Dailymotion etc. and audio imports from iTunes, SoundCloud etc. are also available. Using Mobile Roadie, Quick Response (QR) codes could be created which when scanned, unlock or link to other content. Realizing the potential and the growing significance of analytics and data, Mobile Roadie offers businesses advanced analytics feature which reveals important customer activity data. Mobile Roadie’s services can be availed at $1499 per year. Offers great mobile marketing features to reach out wide range of audience. Supports anytime content updates, geo-targeted marketing campaigns, user analytics, push notifications and more. Slightly expensive when compared to other app maker platforms. Limited E-commerce support and no live chat option available. APP MAKER TOOLS BEST APP MAKER TOOLS by admin.